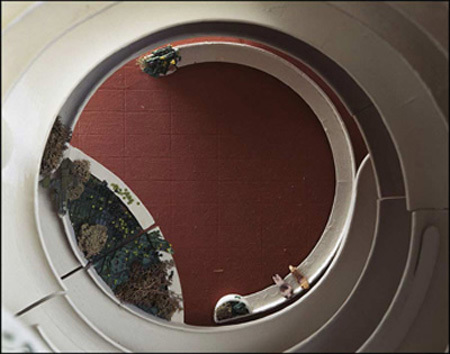 A docent at Frank Lloyd Wright’s Taliesin estate since 2001, Scott Dietrich photographs the influential architect’s original models. Dietrich’s pictures, two-dimensional photographs rendering three-dimensional models themselves generated from drawings on flat paper, add to the layers of the design’s interpretation and can seem more real than the physical objects they represent. 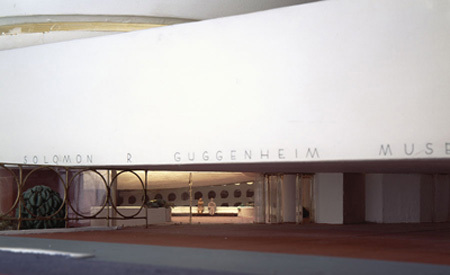 For designs that were eventually built, like Solomon R. Guggenheim Museum, 1943, the models are a curious parallel to the more famous final structures. 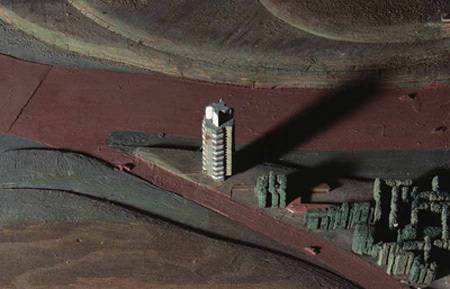 For the unrealized projects, however, the confusion of scale in some pictures creates the illusion of an existing life-size structure, reviving the architect’s vision and enhancing the model’s power to suggest what could be or might have been. Born in Albuquerque, New Mexico, Scott Dietrich has been an adjunct faculty member of Columbia College Chicago’s photography department since 1999. He holds a BFA from the University of Arizona, College of Fine Arts (1994) and an MFAfrom The School of the Art Institute of Chicago (1996), with additional training from the Campbell Center for Historic Preservation Studies (1998). 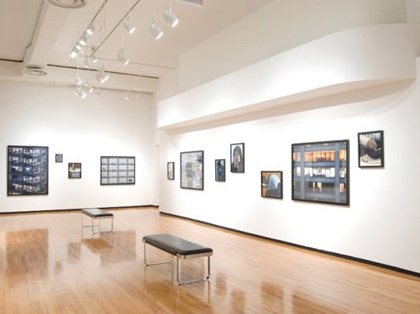 His photographs have been seen in the Chicago Cultural Center’s exhibition City 2000, as well as in solo exhibitions at Southern Light Gallery, Texas and The Green Lantern Studio, Mineral Point, Wisconsin. The LaSalle Bank Photography Collection, Field Museum, and Art Institute of Chicago have all collected his work.